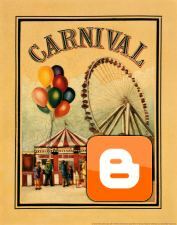 Danette Schott from the SOS Research Blog is hosting a blog carnival which I'm very proud to be a part of. The topic is on Autism and Treatment Options and it contains 22 great posts from some of the most experienced people in the field and on a wide variety of subjects. The topics include; weighted blankets, social stories, speech therapy, sign-language, toys, pets, deep pressure, cognitive therapy and Chinese Medicine therapy. I was surprised to find that there was even an article on therapeutic horseback riding. Thanks Danette for organising the carnival. If you're interested in treatment options for autism, there is now a great group of articles which can all be referenced in one place. Gavin, thanks so much for mentioning the carnival. I hope to see you at next month's carnival too! Gavin you have an awesome site. So easy to navigate. Love the way you have grouped the posts you write in series. Thank you so much for this wealth of information for all Special Needs families.